Rickie Fowler's all-around game should serve him well this week in Mexico. Welcome to the Fantasy Six Pack! If this is your first time joining us, here, we highlight six golfers to use in two popular fantasy golf platforms, DraftKings and FanDuel. On each, you must select six golfers for your lineup under a specific salary cap. (DraftKings $50,000, FanDuel $60,000.) A little about me: I’m a golf nut with a 1.3 handicap and a nose for analytics — according to Rotogrinders, I’m one of the top daily fantasy golf players and ranked inside the top 25 of all players. Come check out all of my analysis over at tourlevelfantasy.com. I’m also starting something new in this week's article: a stock pick. You see, before having fun with golf, I spent 10 years as a licensed stockbroker and financial advisor. I still play the markets, and I thought as part of this weekly feature it might be fun to include a Stock Pick of the Week. You’ll find my first recommendation below. And now, on to the PGA Tour. The Tournament: Mayakoba Golf Classic Course: El Camaleon Average Winning Score: -18 Average Cut: Even Yardage: 7,000 yards Par: 71 Last year’s Top-5 finishers Patton Kizzire Rickie Fowler Si Woo Kim Martin Piller Charles Howell III Skills emphasized: Because this event is outside the U.S., there’s no strokes gained data for it. But en route to winning last year Kizzire finished top-33 in the field in all major categories, including seventh in GIR and first in putting. So, we’ll try to find players with strong all-around games and streaky-hot putters. That makes me like my favorite even more. 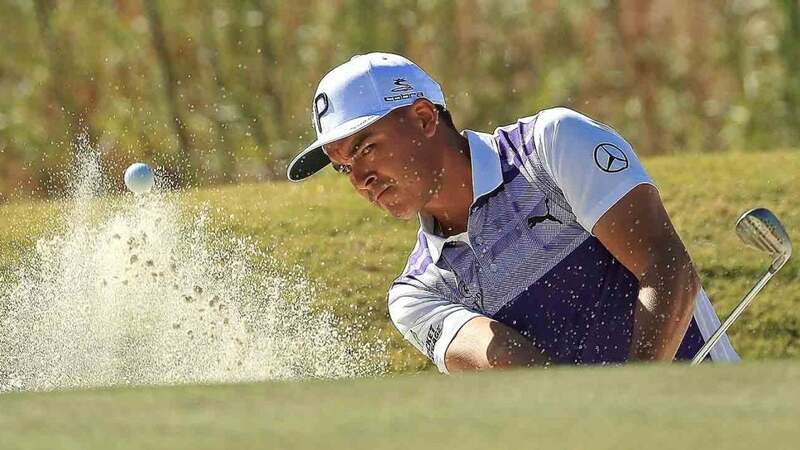 The Favorite: Rickie Fowler (Odds: 9/1, DraftKings $11,500, FanDuel $12,600) Fowler is riding a run of three straight top 10s, and he should have won this event last year, but Kizzire benefitted from playing 36 holes in a single day and not sleeping on the lead. Last week Fowler gained more than a stroke-and-a-half in ballstriking and nearly a stroke with his short game (around the green and putting). It all looks promising for this one. Going Streaking: Players entering this week in the great form Sam Ryder (Odds: 45/1, DraftKings $8,700, FanDuel $9,600) Last week a blunder on the par five 15th hole crushed his dream of winning a PGA Tour event, at least for now. Ryder is enjoying a solid fall circuit with two top 5s, and he hasn’t missed a cut since the Greenbrier. He also made waves with his fashion choices, but I think this week his play will stand out the most. Sungjae Im (Odds: 50/1, DraftKings $7,800, FanDuel $8,700) Im hung in last week and finished 15th, his second top-25 in four events. He’s an average-length hitter and ranks 20th in total driving, but also possesses the all-around game I like this week. Kevin Chappell (Odds: 66/1, DraftKings $7,500, FanDuel $10,400) Chappell is fresh off the worst putting season of his career, but he looked a little better near the end of the summer. He’s at a discounted price, and I think he’s a value in this weaker-than-average field. Mulligans: A player who has struggled but expects to play better Jordan Spieth (Odds: 11/1, DraftKings $11,300, FanDuel $12,400) Last week Spieth’s T55 epitomized the current state of his game. He spoke about bad lies and a fan yelling in his backswing… it sounded like sour grapes to me. He played a great opening round while hitting a lot of fairways and greens, but didn’t do much after that. Let’s see if his fortunes change in Mexico. Where to play this fantasy Golf this week: DraftKings: 1. $5 buy-in called “Tee To Green,” with a top prize of $30,000 and a guaranteed prize pool of $150,000. 2. $555 buy-in called “Signature Hole,” with a top prize of $20,000, and a guaranteed prize pool of $100,000. 3. $44 buy-in called “Club Twirl,” with a top prize of $10,000 and a guaranteed prize pool of $60,000. FanDuel: 1. $7 buy-in called “Eagle,” with a top prize of $4,000 and a guaranteed prize pool of $25,000. 2. $333 buy-in called “Monster,” with a top prize of $2,000 and a guaranteed prize pool of $4,000. Stock Pick of the Week The Walt Disney Company Ticker Symbol: DIS Approximate Share Price: $115.00 52-week Range: $93-120 Company Commentary: Here’s a company everyone knows. But what might surprise some of you is how diverse their operating segments are: cable and television, parks and recreation, and movies. They also recently acquired Fox and rolled out a new OTT package to watch their movies and other content. Add in the expansion of their parks, with Stars Wars Land coming to both Florida and California, and the prospects have never been greater for this iconic American company. I bet it reaches all-time high’s (mid 130s) in the next 18 months. That’s it for this week, folks! As always, check my bio below if you’d like to get in touch. Jason Rouslin is the founder of tourlevelfantasy.com. He has been playing golf for the last 20 years, betting on golf for the last five and writing about golf for the last two. Connect with him on twitter @dfsgolfer23 or check him out on the @rotogrinders live golf show on Tuesday’s @ 8 PM!